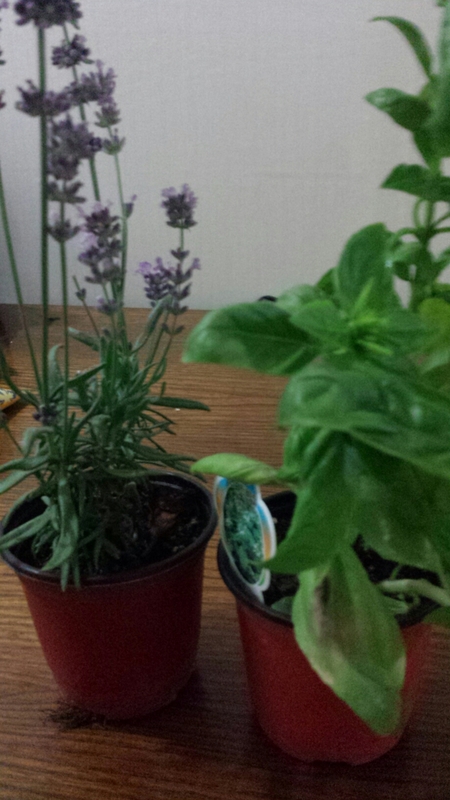 At the same shop where I found rosemary, lemon thyme, and apple mint, they are now selling basil and lavender! This is exciting because fresh basil a rarity here…I got some in the Gashi CSA taster basket that I ordered, but that was the only time I have ever seen it here. The plants were very reasonably priced at 5000 won for both. They were actually quite large. As there were three basil plants in the same pot I separated and repotted them. 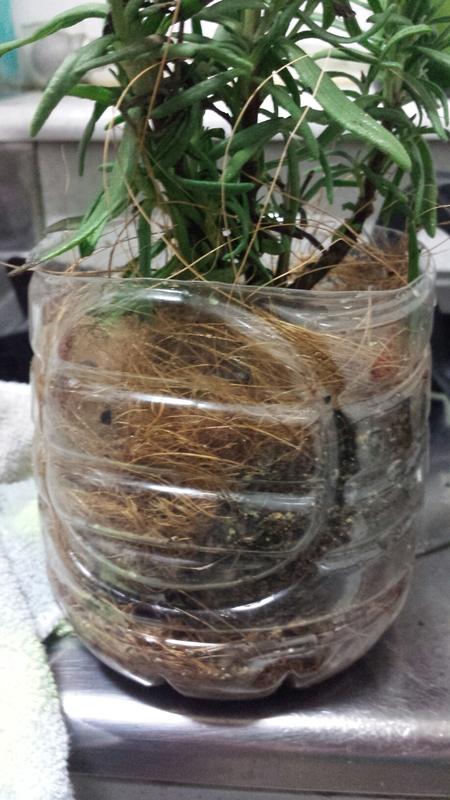 I repotted the lavender as well, as it was showing signs of being pot-bound. I made a pot for it out of a plastic water bottle. It’s actually pretty cute. I used the rest of the bottle to make a scoop. Hopefully they’ll be happy. The lemon thyme seems to have died, unfortunately, but the rosemary and mint are still going. I find lemon thyme rather finicky and always seem to have trouble with it, though.